Despite our best efforts to be prepared, life happens. Case in point, I planned a trip to be there for my sister during her birth, but Baby was working on his own timeline and had yet to arrive at the end of my scheduled week in the Bay area. Society claims to value flexibility and laud the ability to adjust on the fly, yet somehow when it comes to pregnancy and birth, we view it as an inconvenience. What if we learned to see the unpredictability of it all as an opportunity—to gather data, make projections and then pivot as necessary? What if we stopped trying to maintain such a tight grip on control and developed the skills necessary to plan for things that don’t have specificity? Today, I’m celebrating the honest conversations we’ve had in my first 25 interviews on Startup Pregnant and sharing my insight on pregnancy and childbirth—being in the thick of it again with my sister this past month. 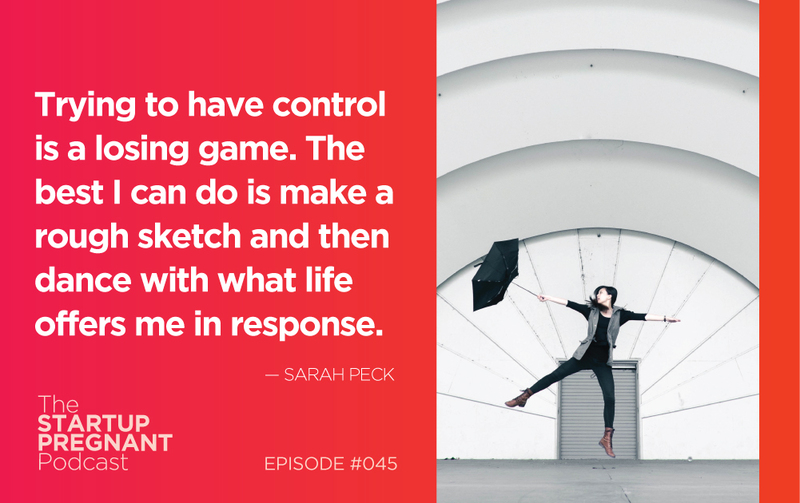 Listen in for my take on the illusion of control, our lack of candor around the hard work of pregnancy and childbirth, the significance of taking the time to recover, and the dedication required to breastfeed your baby.